In 1996, when I started researching the conservation genetics of New Zealand’s critically endangered parrot, the kākāpō (Strigops habroptilus), little was known of the species’ genome. On many occasions after a long day in the molecular lab on the hunt for an elusive gene, I found myself imagining that I had the complete genome of kākāpō at my fingertips. Fast forward 20 years, and that dream has been realised with the sequencing of the kākāpō genome by researchers at Duke University and PacBio, as part of the Bird 10,000 genomes project. It was like Christmas the day the whole genome landed in my inbox (22 January 2016). Elusive kākāpō genes could no longer hide from me and the possibilities for kākāpō conservation and species recovery seemed endless. Many people will be familiar with the species thanks to a kākāpō called Sirocco (the species’ “spokesbird,” who tweets @Spokesbird) and his unusual mating habits. Stephen Fry’s narration of Sirocco mating with Mark Carwardine’s head on YouTube has had over 6.7 million views. For many others like me, Douglas Adams introduced kākāpō to them in the moving account of the species’ plight in the book Last Chance to See. Historically a widespread species, the kākāpō reached a low of only 51 birds in 1995, and the world population now stands at a hard-won 125 individuals. To maintain genetic diversity and ensure species recovery, all birds are now intensively managed by a team of dedicated conservationists. Conservation genomics – the application of genomic analysis to the management of threatened species – is a fast-emerging field propelled forward by the dramatic advances in genome sequencing. 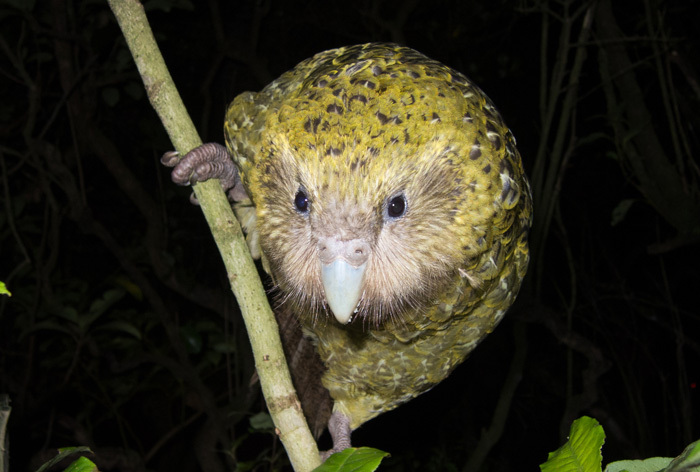 These technological developments have also led to considerable cost savings, and we are to the point where we can once again dream big for kākāpō. In a world first, the Kākāpō 125 Genomes Project is sequencing the genome of every surviving individual of a species. This ambitious project is a collaboration among researchers from the New Zealand Department of Conservation’s Kākāpō Recovery Group, the University of Otago (New Zealand), Duke University (USA), the Genetic Rescue Foundation and NZ Genomics Ltd.
For the Kākāpō 125 Genomes Project, we’re using the high-quality reference kakapo genome developed by Duke University and PacBio as a scaffolding to assemble all other 124 kakapo genomes against. This project is being funded by the Genetic Rescue Foundation, a not-for-profit organization dedicated to advancing the scientific techniques required to prevent species extinction through genetic intervention. The Genetic Rescue Foundation makes use of the latest crowdfunding and online scientific services such as Science Exchange and Experiment.com to fund and conduct research. The Genetic Rescue Foundation’s latest crowdfunding campaign is currently in progress and in just 20 days has raised over $32,000 toward a target of $45,000. A genomics approach to kakapo conservation will be a great boost to the recovery program. A genome-wide understanding of genetic variation will help to develop breeding strategies to retain variation at genes important for species persistence, such as the immunity genes and their role in kākāpō diseases. 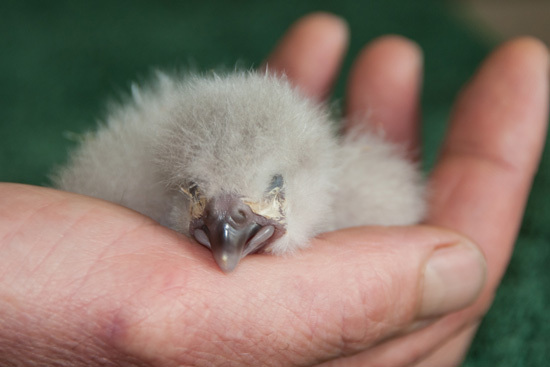 We will also be able to explore the genetic basis of infertility in kakapo; only 60% of eggs hatch (normally this should be about 90% in birds) and sperm abnormalities contribute to infertility. Solving the issue of infertility will greatly aid species recovery by maximising reproductive effort. Beyond being of considerable significance to kākāpō conservation, the Kākāpō 125 Project will make an important contribution to the emerging field of Conservation Genomics. Our project will provide a genome dataset for every member of an entire species, serving as a much needed case study to further develop analytical pipelines and methodologies. Only with studies such as ours will Conservation Genomics’ true potential be realised. Bruce Robertson is an Associate Professor studying the conservation genomics, molecular ecology and wildlife management of New Zealand native species in the Department of Zoology at the University of Otago, Dunedin, New Zealand.